Your user experience is a critical differentiator for you. You should be able to fully control the user experience, down to the pixel level, enhancing the value of your brand. 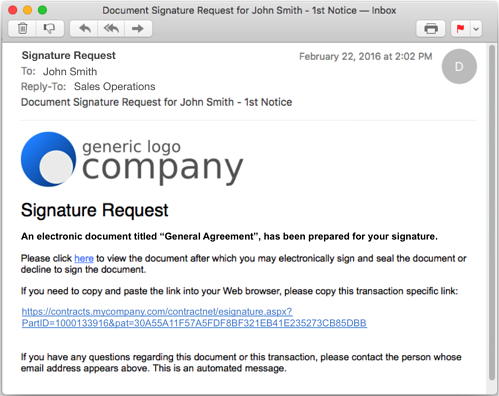 Download our electronic signature platform selection guide and see if AlphaTrust is right for you. Our solutions allow you to easily modify the user experience to exactly match your application. You can customize the signature block having just the signature itself or add a variety of transaction details and customized branding. A key to successful digital document transactions is an outstanding user experience. Our solutions have been designed so that absolutely every element of the user experience down to the pixel level can be easily customized and controlled via simple configuration changes to exactly match your visual design. While our standard out-of-box user experience is ideal for most needs, you may completely change all visual elements on any view presented to a user. This may be valuable when document processing is part of a larger workflow and you want to exactly match the overall visual design. To collect specific information from the signer or reviewer data collection pages can be easily created and fully customized. 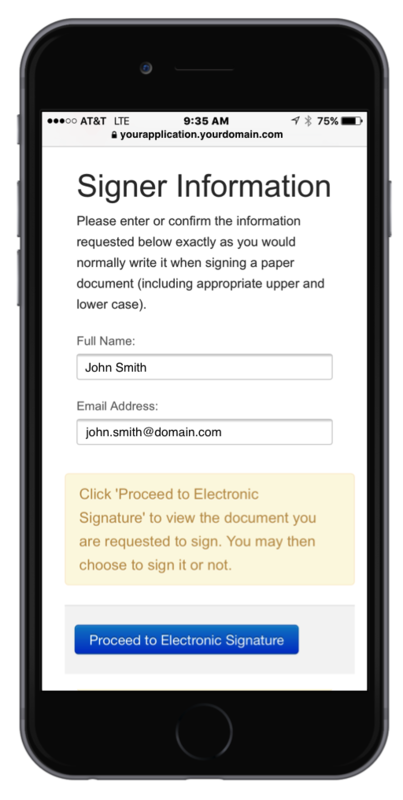 You can have one or mutliple data collection pages per document, with specific information required from different signers or reviewers. The solution will ensure all required fields are entered from a particular participant before proceeding to document signing. These data collection pages may be auto-generated by the system and allow full customer control of field names, field comments, general instructions to the filler, grouping of data, and default values. Branding on all pages and email verbiage presented by the solution allows full customization and multiple brands. You may also control language by entering specific text to be presented in a chosen language. This includes the ability to present the information in a different language per signer or reviewer. You have complete control. 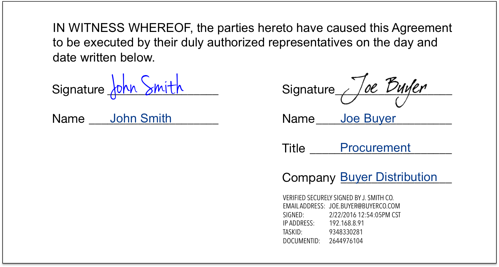 When placing a signature or an initial into a document signature block, you also have the option of placing additional signature block data along with it. This data may optionally consist of printed name, title, organization, email address, date/time (with a variety of formats), IP address, system document Id, system task Id, and even custom data of your choosing.